we had a wonderful tour with Jelena. she is knowledgeable, friendly and kind. highly recommended. TOUR GUIDE RESPONSE: Thank You, Christine! It was a pleasure to guide you! It was a big group with 30 people so it was difficult to hear her. Maybe for next time a "microphone" would be better... But she was very friendly and nice! TOUR GUIDE RESPONSE: Rosina, thank you for feedback, next time certainly I will use microphone for group. Jelena was a wonderful guide. She picked us up at our hotel and gave us a very nice and thorough tour of Old Riga. You could tell she loves her city and spent a lot of time pointing out architectural and interesting historical information. She was patient, answered our questions and didn't mind walking us around in the cold and wind. I highly recommend her! Jelena was a sensitive and conscientious guide. But , more than that, she helped us significantlly with our family research into my husband's Latvian past. Jelena patiently took us to all of the Jewish landmarks- more than we ever expected in a day. I love photography, so she stopped whenever I wanted and I was lucky enough on such a beautiful day to get some great shots. We highly recommend Jelena to those interested in a comprehensive Jewish tour of Riga!! The nicest, most polite, helpful and lovely guide we've had. I wish Jelena was in each city we are visiting. We so much enjoyed our day with her in Riga and would use her as our guide anytime !! We have just departed Riga, Latvia on a cruise ship. Jelena was waiting on the dock when we arrived. Aivars, my husband left Latvia as a baby due to the war. He was wanting to visit his birthplace and the area where his grandparents had a farm. Jelena put in many hours researching prior to our short visit. Not only did she find things that we knew of but my husband Aivars has discovered he has a cousin and other family members living in Jelgava. Jelena has surpassed all of our expectations . Jelena led an interesting and informative tour of Riga's art nouveau architecture. I would never had noticed the many details of it if she hadn't pointed them out and explained the reasons for them. I particularly liked the included inside tour of the Art Nouveau Museum. She does speak softly, so I had to listen very carefully, especially when traffic was going by, but I enjoyed her tour and learned a lot from it. Jelena was fantastic, knowledgeable, polite and her love and interest in her work and her customers shines through making her an ideal choice for touring Riga. Went out of her way to show me other tourist places. Thanks Jelena, you were first class. Jelena is a great tour guide. We went all over the old town of Riga and the art nouveau district of Riga. She knows the history and the social changes that have taken place in Latvia extremely well. I know she is not responsible for the weather but the only time it rained was when she had us in a covered shopping area. I would definitely use her again and recommend her to anyone. We requested a tailor-made tour with Jelena to visit the grave of a great-great uncle who was buried at the WWI British War Cemetery at Jelgava. Jelena visited the cemetery before our arrival and found the gravestone, and this enabled her to take us directly to the site. We were touched by her forethought and planning. Afterwards we walked down the river in the town, and visited various sites. It was a poignant day, and we sincerely thank Jelena for making it so special. Jelena went above and beyond the tour we booked with her. She is extremely knowledgeable and we are very appreciative of the time and effort she put in to portray the history of Riga and Latvia as a whole. 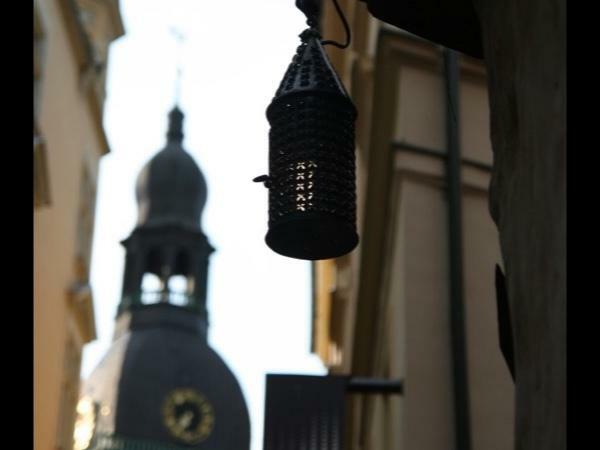 It was thoroughly enjoyable strolling around the old city, listening to the colourful past of Riga and this knowledge greatly enhanced our enjoyment of our visit to Riga. Thank you Jelena. Jelena is a wonderful tour guide and we enjoyed her art nouveau tour so much we extended our time with her to spend the entire day. She is very knowledgeable, sweet and caring. We learned much on the tour and now look at buildings in a completely different way. She made great suggestions for our extended tour. We went to an out of the way incredibly moving memorial for Zanes Lipka who was an unsung hero of the Holocaust. She gave good advice about being prepared for the weather and is a safe driver. Jelena was very knowledgable and pleasant. She planned out a very thorough tour for us. We enjoyed our time with her. Jelena was terrific. She helped plan our trip and researched all aspects of it before we arrived. She even went so far as to visit sites before we came to ensure she knew where they were. This trip was meant as a 90th birthday present for my Father and he was thrilled. She helped us trace our family history and provided us with a lot of unknown information. She went far beyond what a guide would normally do. Best of all she had a calm but determined nature. A very pleasant person to spend 4 days with. Jelena is a knowledgeable guide that clearly loves Riga. We visited Riga for a day on a cruise and booked with Jelena and had a very nice day even with rain, hail and bright sun followed by more rain. We did ask that she include a side trip to the market and were glad we did. She pick us up at the commercial port a bit out of town and returned us to the ship with plenty of time left. I had the great pleasure of touring Sigulda with Jelena on July 16, 2015. Jelena kindly picked me up from my hostel promptly at 9, and we were off for a day of exploring. Jelena was a bright, friendly and knowledgeable tour guide who willingly shared her considerable knowledge of her country's history. We toured Sigulda New Castle/Old Castle/Church, Gutman Cave, Turaida Castle, and Krimulda ruins and church. Jelena was a cheerful travelling companion who helped make this a special day. Thanks Jelena! I spent a very moving day with Jelena touring both World War II monuments and Holocaust sites. We visited Rumbula, Zanis Lipke Monument, and Salaspils Concentration Camp. Once again, Jelena shared her vast knowledge of her country's history, and continually demonstrated her respectful attitude toward the Holocaust victims. This was a difficult day for both of us, as touring Holocaust sites is an emotionally draining experience. I was very glad to be touring with someone as sensitive as Jelena. Very knowledgeable and informative guide and tour. Jelena showed up on the dot in our hotel as arranged. Not only did she show us the normal tourist sights - she took us through back alleys, showed us things no tourist would otherwise have found --- and all the while she had toothache, was on antibiotics and awaiting an operation! The stories she told us (in excellent English) and the lively intelligence displayed makes me wonder what she is like when not in pain! If you have the chance - go with Jelena! Jelena was an excellent, knowledgeable and entertaining guide with whom we have become friends in a very short space of time. Very informative and thank you Jelena for showing us Old Riga. Outstanding. Jelena did a lot of research for our specialized tour. She is knowledgeable, has a great personality, works very hard and was always tuned in to our needs and concerns. We recommend her highly without reservation. Please send her a copy of this evaluation. The tour was fantastic. Both guides tour was more then excellent. So knowledge and devoted to us. Jelana helps us very much with all kind of problems we had with the hotel. Thank you very much, Iris & Eli Soloveitzik. Jelena was right on time, had comfortable transportation and spoke excellent English. She gave us a great tour of the city of Riga specializing in the art nouveau architecture of the area. I would definitely recommend using her. Jelena is dedicated, passionate and she goes the extra mile. We had several unplanned events like being ill equipped for polar temperatures or forgetting our credit card in the ATM... She was understanding and very helpful. And we believe that the tour is a must to get the gist of the Old City! I can only recommend her strongly. Thanks for a very nice tour with interesting facts about Riga. We very much enjoyed it and Jelena was a very competent and nice guide. Jelena was sweet and very knowledgeable about Riga but her English was difficult for my group. We were tired and jet lagged though and enjoyed the peek at Old Town Riga! TOUR GUIDE RESPONSE: I completely agree with Michael that the tour balled up. To say the true, I was not prepared for so tired group, I wanted to show all things included in 2.30 hour tour, but we have very limited time and all these facts make me really stressed. I will revise tour for such cases. Thank You for experience. I hope, Riga and people have made a good impression on you and your firends! We truly enjoyed our tour of Riga with Elena. She was knowledgeable regarding her city and country it was very interesting walk excursion by "Old Lady". I would recommend Elena to other visitors to Latvia!